I have always been passionate about connecting my students learning to the wider community and an authentic audience. 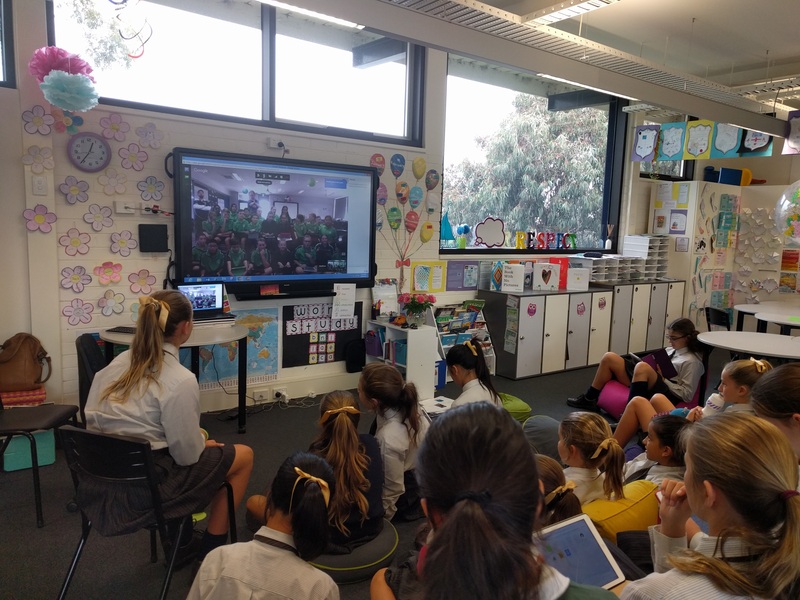 Technology enables us to transform our teaching and learning with endless possibilities, one of these being collaborating with classrooms and students all around the world. Another way I have enabled my students to share their learning with others around the world is by using Google Slides. All slide decks can be set to ‘Anyone with the link can edit’ which allows any class around the world to read and share their own learning. By sharing out the slide deck using social media platforms. Twitter and Google+, teachers can view what others have shared and choose to respond with their own students work. The Global Scrapbook Project is designed around the IB PYP Transdisciplinary theme of ‘Where We Are in Place and Time’ to guide the students inquiry. By sharing the slide deck globally classes from Australia, USA, New Zealand, Germany, China, Russia, and Canada have all connected and shared their culture via text and image. The students have loved learning about each new class that has completed the task with us. Nathan Jones and I had been collaborating around the many possible uses of Sphero’s in the classroom. He suggested covering the Sphero in paint to then create a piece of art using either the Draw & Drive or Tickle Apps. My students loved this lesson and wanted to see what the art pieces of other classes would look like. After our Global Scrapbook Project, they came up with the idea to create another slide deck to share globally to have other classes add to. I embrace this student initiative and voice within my classroom and was more than willing to oblige. My students would love for your students to continue to add to the Global Scrapbook Project and the Sphero Art Exhibition. Even though in Australia we have now begun a new school year and I am teaching a new class of students, the students involved in these two projects continue to access these slide decks to view any additions.